You open the mailbox and find a notice that’s anything but welcome: You’re being sued for a debt. This is not an uncommon scene, but it’s still a shocking and upsetting one – particularly if you’re the one receiving the notice that a lawsuit is pending. 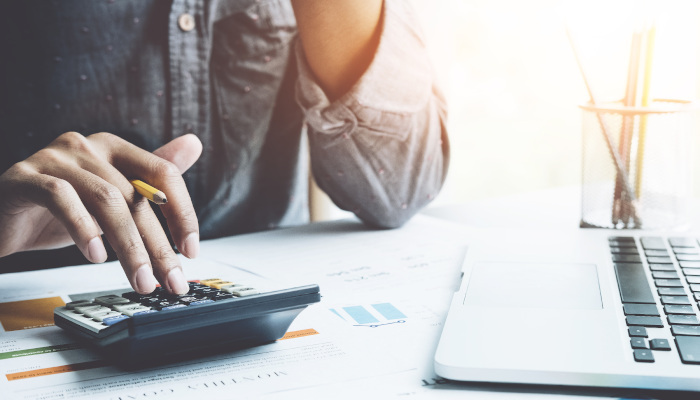 Whether you expected this action on the part of a creditor or not, it’s important to consider how you can respond in the event that you face a lawsuit over past debts. What are some of the avenues now available to you – and is there anyone who can make this process easier? One of the most important things to keep in mind is that it is vital that you answer the complaint once you’ve been served. Many, many different debt and bankruptcy experts agree on this – including the federal Consumer Financial Protection Bureau (CFPB). If you fail to respond in a timely fashion, then the creditor or debt collector can often quickly attain a default judgment against you in court, which may give them the power to garnish your wages, place a lien against your property, freeze your assets and accounts, and more. Keep in mind, also, that it can be very difficult, if not impossible, to get this judgment overturned or set aside. If you want to dispute the debt in any way, it is important to respond to the complaint or court summons before it’s too late. So, from there, what are the options and strategies available to consumers who are facing a lawsuit over debts? There are a few courses of action available. For instance, in many cases, it may be possible to stop the lawsuit by reaching out and working with the creditor. As CreditCards.com puts it, many creditors “would rather settle a case without the hassle of going to court,” and may be willing to reach an agreement in order to avoid having to move forward with the suit. It may be possible to work out a payment plan, or the creditor may accept a partial payment and drop the suit accordingly. Whether you choose to go directly to the creditor or not, one of the most important avenues for aid is an attorney experienced in debt and bankruptcy law. If you’re facing a lawsuit over debt, an attorney may be one of the most effective and helpful partners you can have on your side, whether you choose to attempt negotiation out of court, challenge the lawsuit, or go forward with court proceedings. An attorney can be a vital resource, at every step of this process. For instance, a legal professional can offer counsel about the best course of action to take, depending on your unique circumstances. Depending on the situation, your attorney may also be able to assist you with finding a method that allows you to challenge, defend against, or dismiss the suit against you. Have a knowledgeable legal professional assist you in writing your formal response to the summons. Have a voice – and leverage – on your side as you negotiate directly with creditors. Many organizations may be more willing to listen to a consumer with legal representation, rather than one who is attempting to negotiate on their own behalf. Point out defenses you may not have been aware of. An attorney can assess the facts of your case, and may be able to find defenses you may not have been able to raise on your own – such as determining if a debt falls outside of your state’s statute of limitations, determining if the debt collector’s actions have violated FDCPA (the Fair Debt Collection Practices Act), or proving that the debt collector cannot provide written verification of the debt or other proper documentation. These are just a few common examples. Have a representative to act on your behalf in court proceedings. If it comes to it, your attorney can represent you at hearings or court appearances. Your attorney may also recommend and assist you with legal strategies that may be difficult to pursue on your own, such as countersuing the debt collector, if appropriate. In many cases, consumers are nervous about contacting an attorney for help. Fear of making payments is one of the biggest concerns we hear. However, take heart: Many legal professionals, including the Gunderson Law Firm, offer free initial consultations. It costs you nothing to begin the conversation, and credible law offices will not string you along if they don’t feel that your case is worth taking on. In many instances, your attorney’s legal fees will ultimately come from the debt collector, and will not be a factor until after you’ve won your case. In some cases, if you are facing lawsuits from multiple creditors, or if you have lost a judgment, bankruptcy may be a viable way to “stay” the debt collection process, allowing you to to discharge certain debts while giving you the breathing room necessary to manage or repay others. Again, an attorney experienced in bankruptcy law can be a vital partner if you’re weighing bankruptcy as an option. A legal professional can help you assess the facts of your case, allowing you to determine if you qualify for bankruptcy, and, if so, what type would best suit your needs. In other cases, an attorney may be able to help you consider alternative strategies to bankruptcy. In any case, having a legal professional on your side can help make the complex and time-intensive bankruptcy process easier – and, broadly speaking, more successful. Consumers who attempt Chapter 7 or Chapter 13 bankruptcy with the assistance of an attorney are far more likely to have successful filings than consumers who attempt to file pro se, or without the help of a legal professional. If you’re facing a debt collection lawsuit and feeling intimidated and unsure of where to go next, don’t hesitate to get in touch with the attorneys and staff of the Gunderson Law Firm. Our team is well-versed in the many aspects that go into debt and bankruptcy law in Illinois, and we’d be happy to discuss your options in depth.